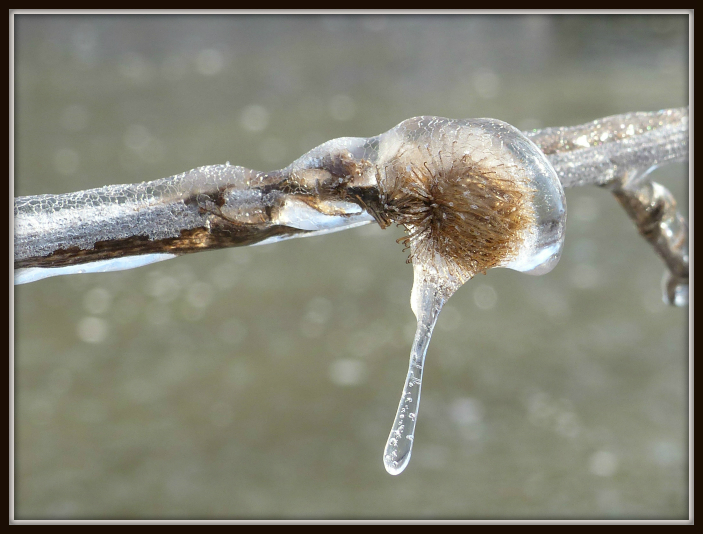 Ice storms occur whenever warm air forms a wedge between two layers of cold air – one high up in the atmosphere and one at the surface. 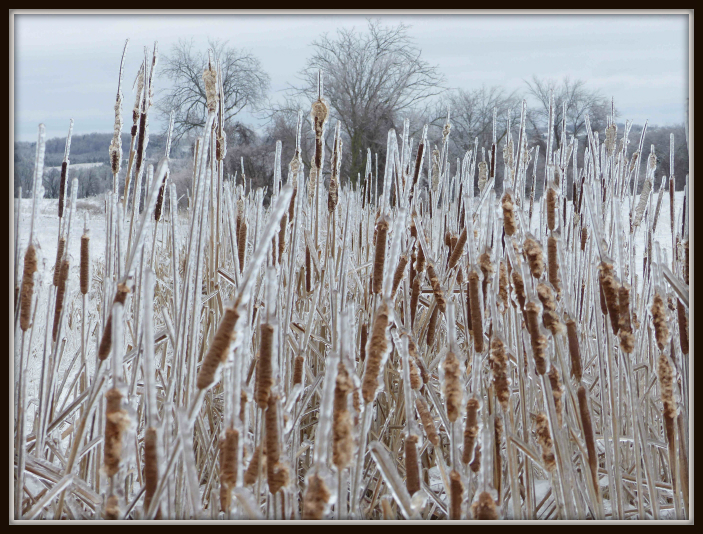 Precipitation that begins as snow quickly turns to rain as it falls through the warm air. 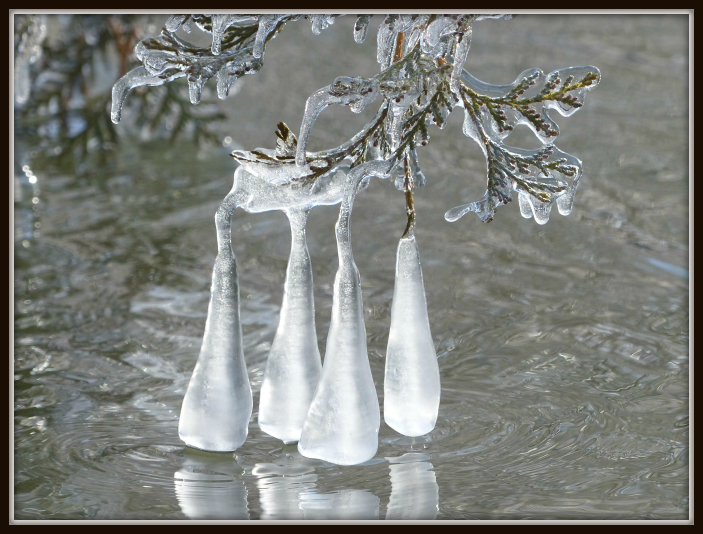 Then, as the raindrops enter the lower area of cold air, they return below the freezing point even though they remain liquid. 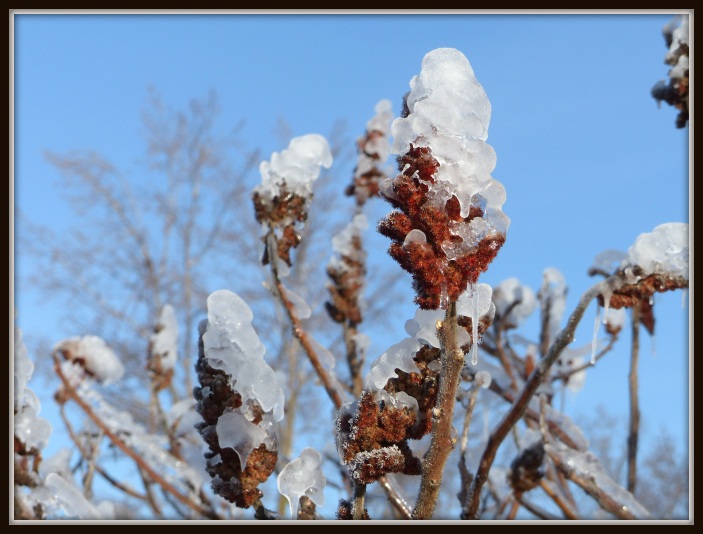 In this state, droplets of water freeze on contact when they touch a surface, forming an icy glaze that causes chaos, damages trees, and it can take out our power. 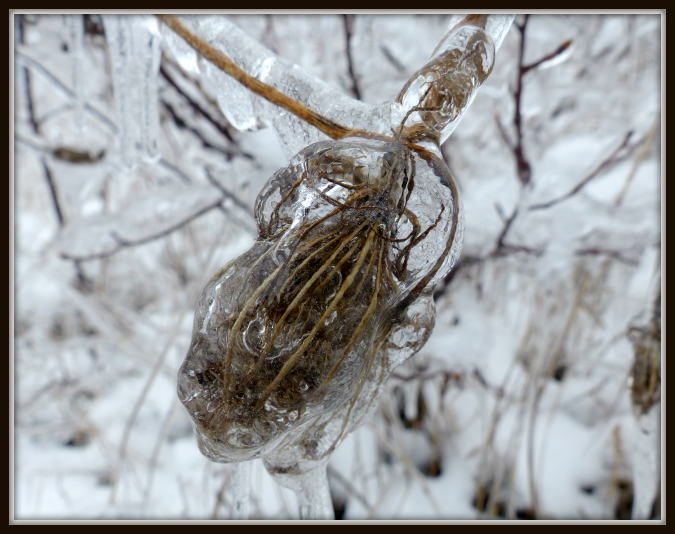 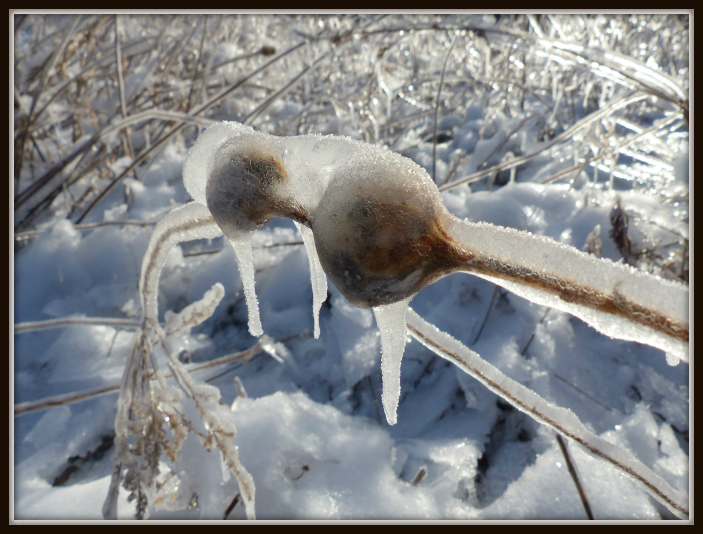 Unbeknownst to many people, ice storms create a spectacular form of art. 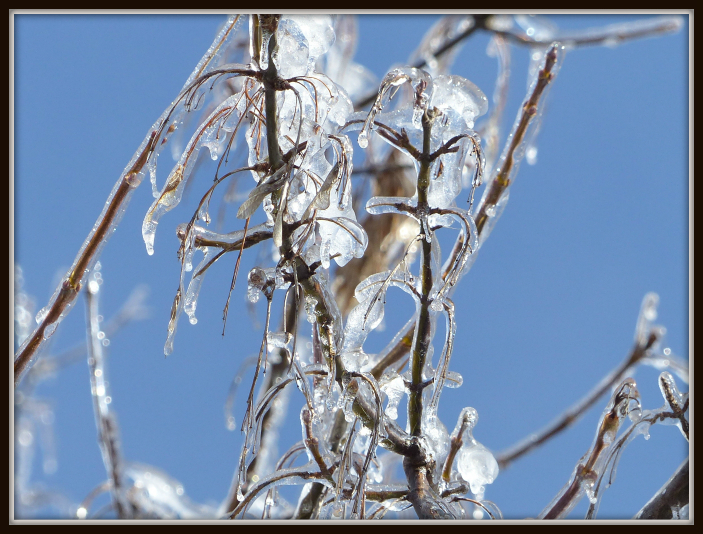 There is not a doubt that some ice formations on plants and trees create breathtaking images that beg a camera to capture them. 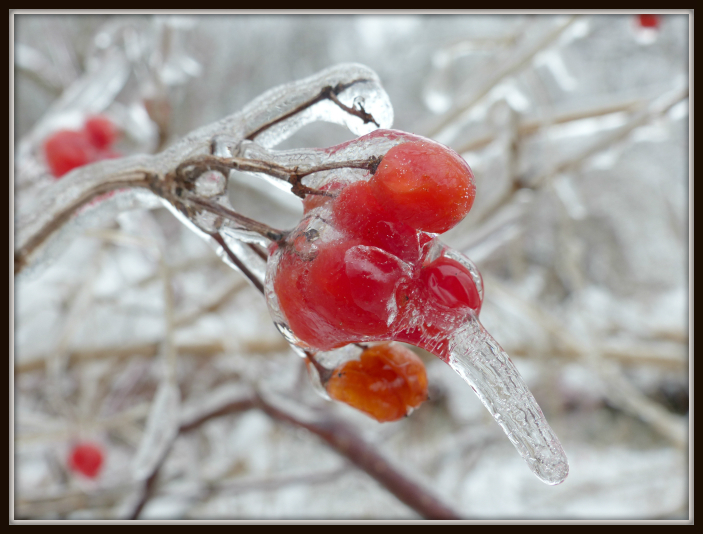 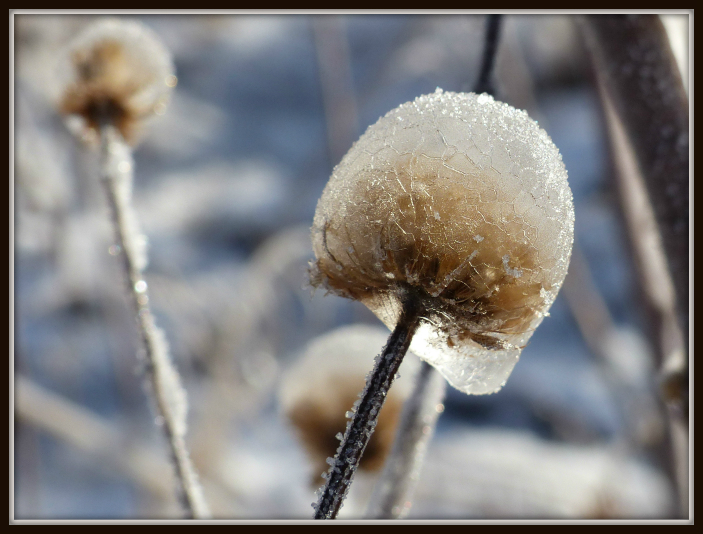 A recent ice storm in my area sent me out in search of wild edibles on ice.